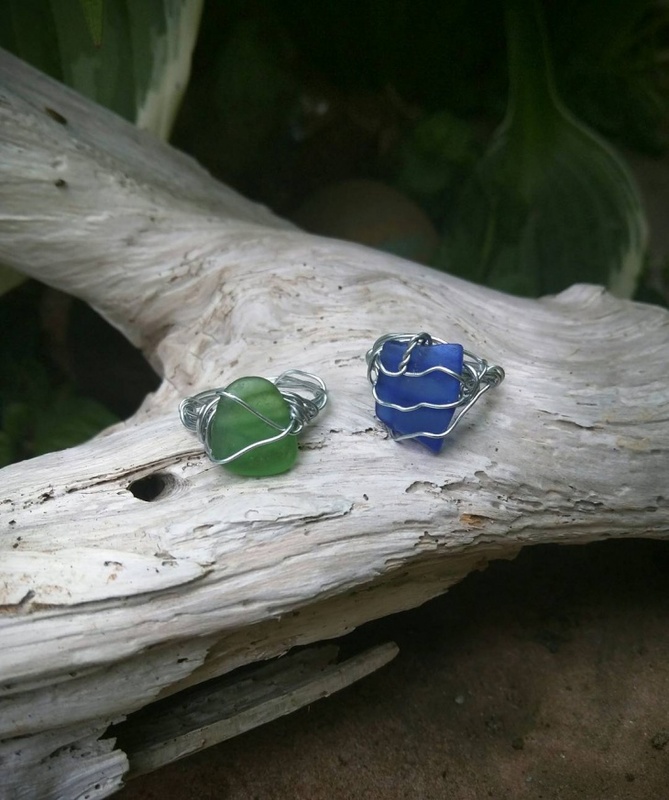 Sea glass jewelry has gained popularity these days. These pieces used to be popular in souvenir stores, nature shops and beachy boutiques, but they have taken high-end shops by storm. 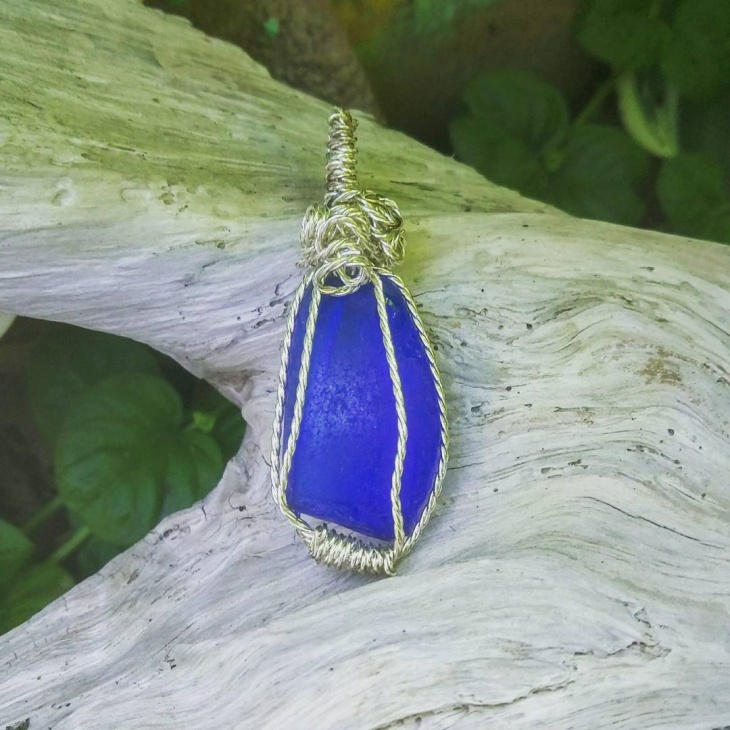 The reason for such immense advancement to modern fashion industry is the increasing interest in using cheap natural materials for jewelry making. 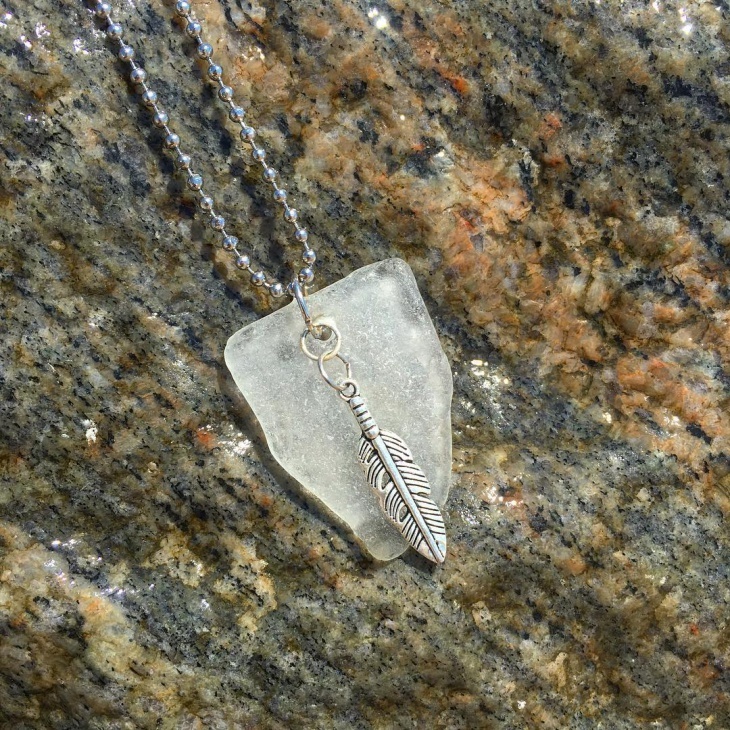 Today, you can buy gypsy or witchy jewelry pieces – necklaces, bracelets, earrings and rings – from almost any jewerly or gift shops near you. 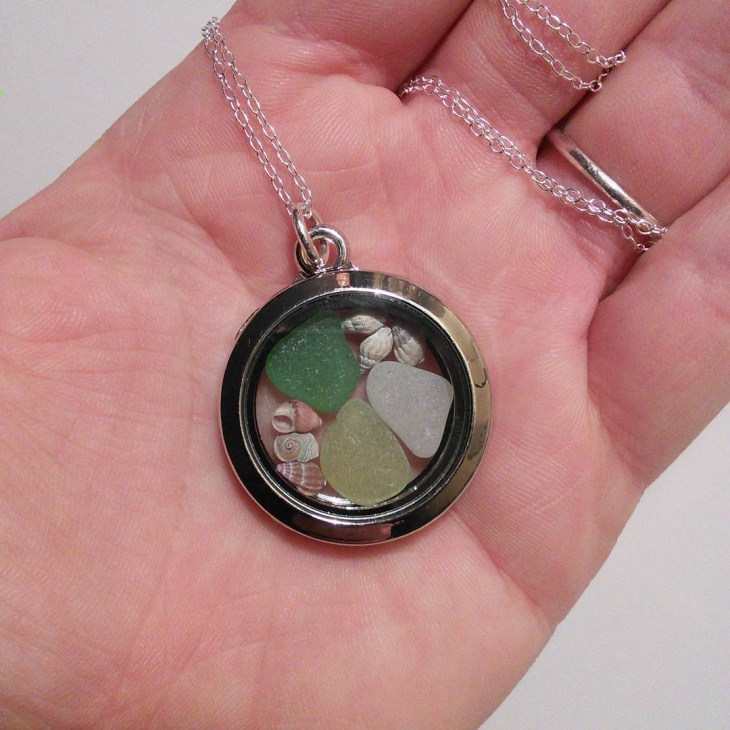 This silver sea glass locket has green, white and yellow sea glasses combined with tiny shells to complete the tropical jewelry look. 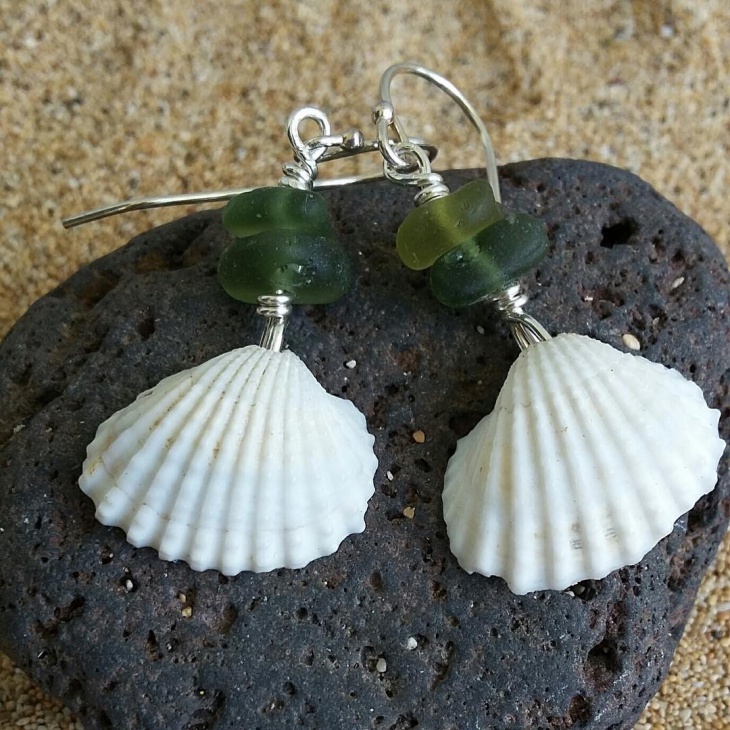 The combination of the shells with the sea glasses is a great example of how you can take the beach with you anywhere. 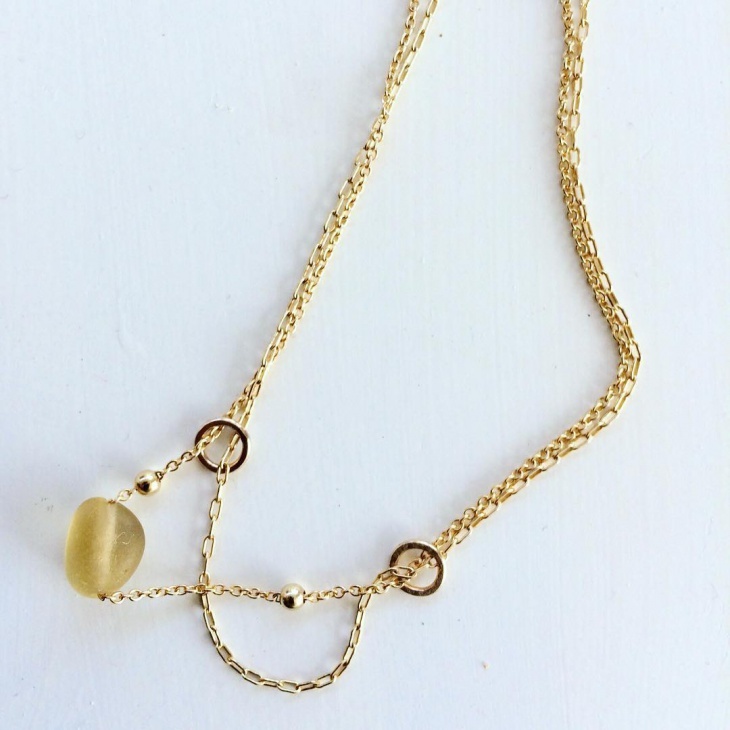 This handmade sea glass necklace is made up of two gold chains and an amber colored sea glass. The design is very unique, as the two chains are not identical and there are two gold rings added as decorations. 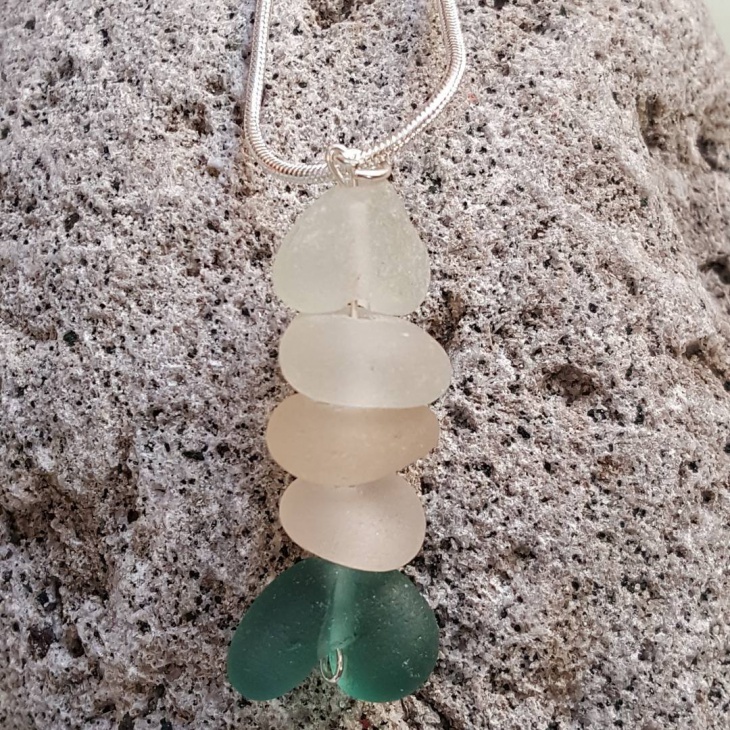 This necklace has a silver snake chain and a pendant made of drilled sea beads – four white and one heart shaped green sea glasses. The drilled beads set off the beauty of the chain, making the piece a true stand-out. 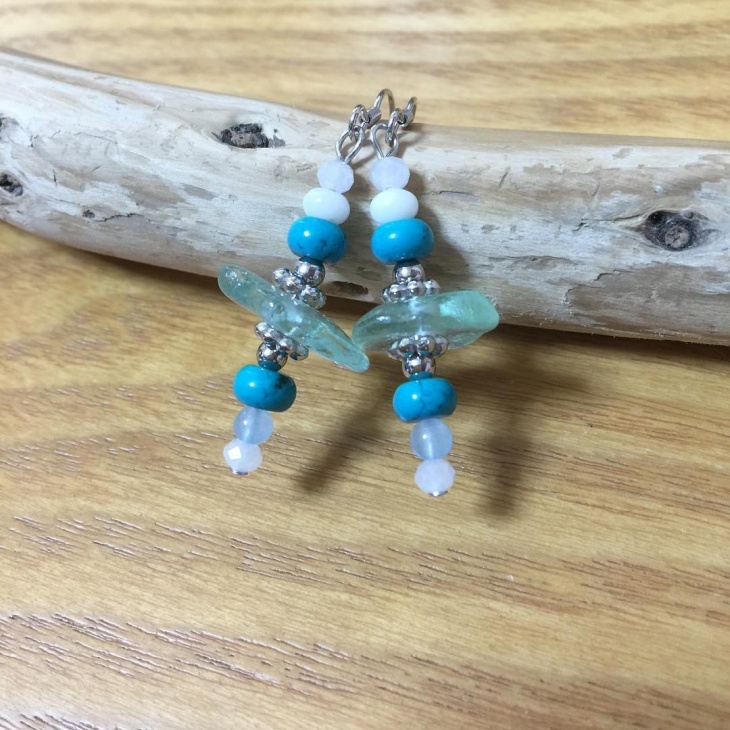 This enchanting pair of earrings has wire-wrapped aqua blue sea beads, two tiny pieces of coconut shells and surgical stainless steel hooks. The wire used is copper wire plated in sterling silver and the hooks are safe for the ears. 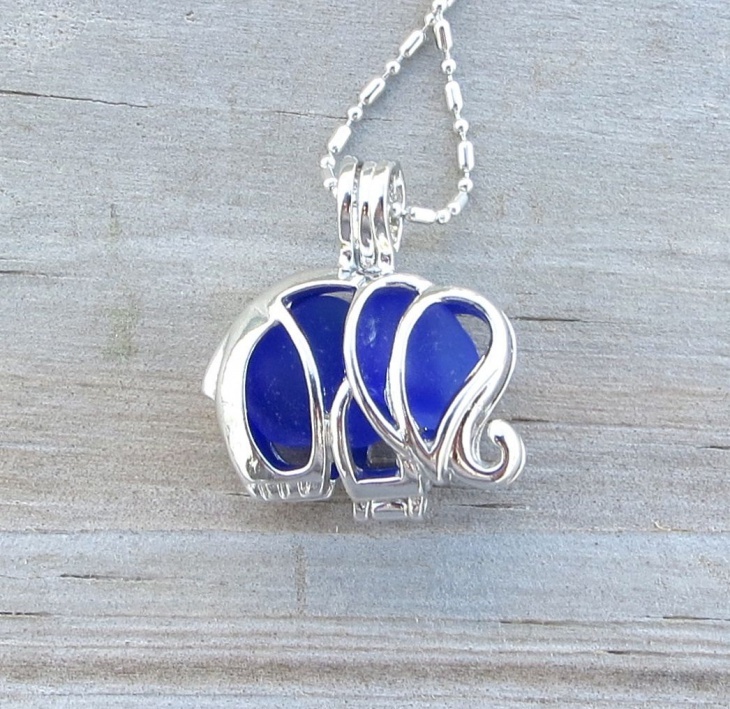 This is a unique elephant necklace locket with beaded silver chain and frosted cobalt blue sea glass. This is a perfect gift for someone who really likes elephants and sea glasses. 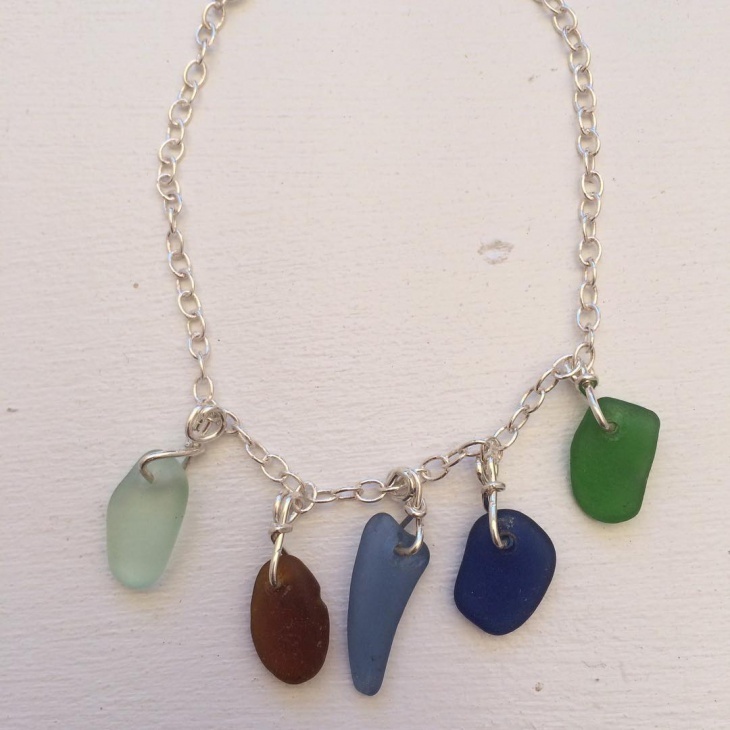 This beautiful set of sea glass necklaces has four different kinds of sea bead pendants. 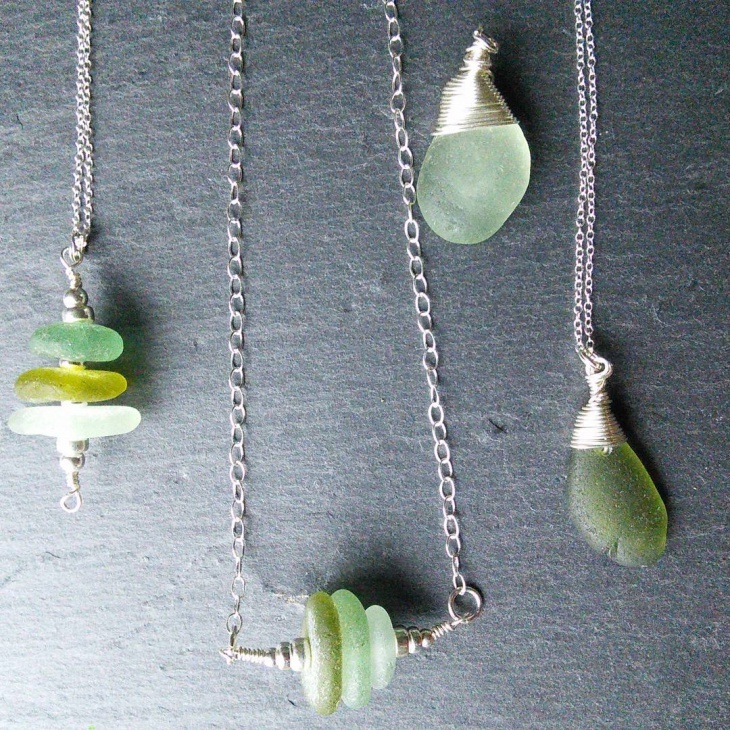 Two green sea beads are wrapped on top while the other are two sets of drilled sea glasses (each pendant has three sea glasses). 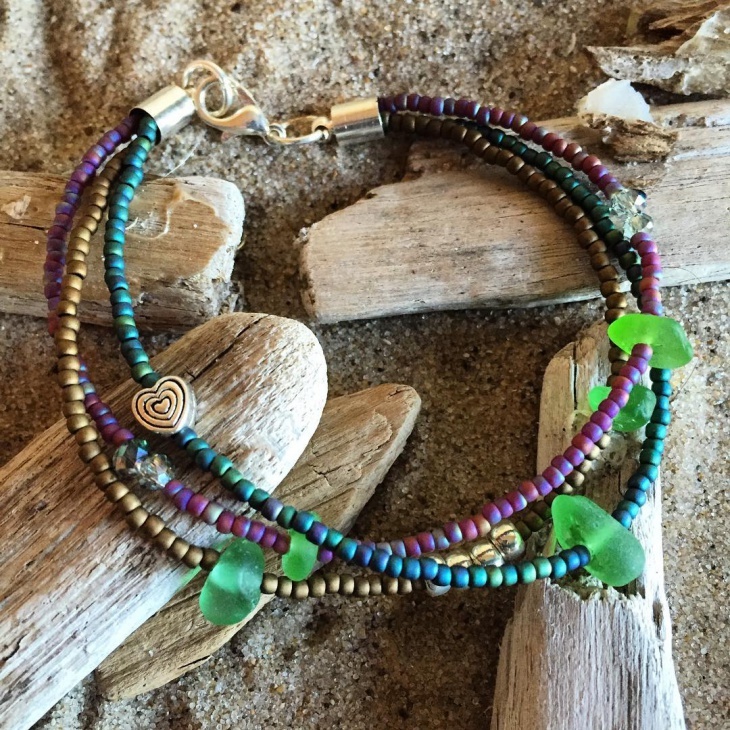 This colorful bracelet is made of various synthetic beads of different shapes and colors. The main feature is of course, the four green sea beads and they do make the piece more appealing. 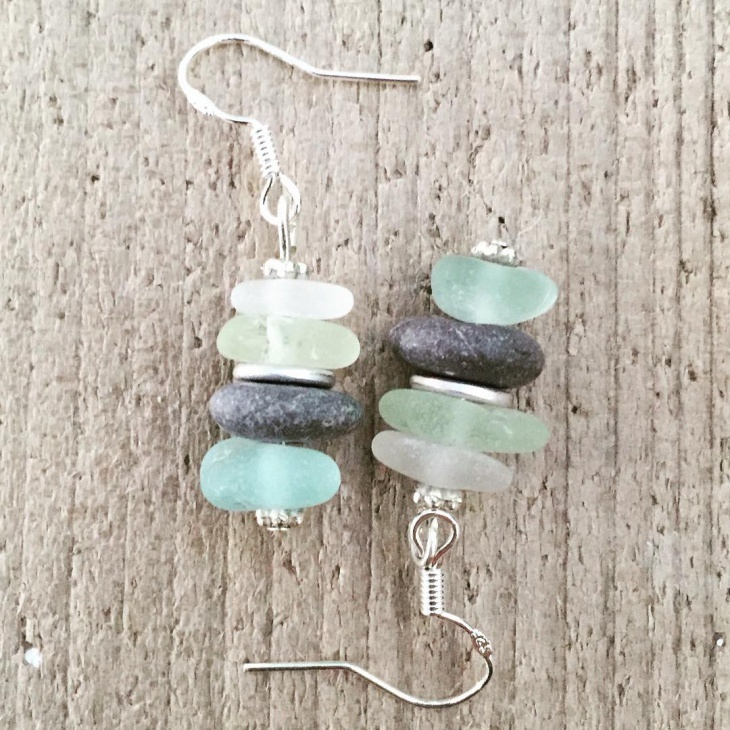 Since sea glass jewelry is considered high-end fashion accessory, it is now being used for special occasions like weddings. 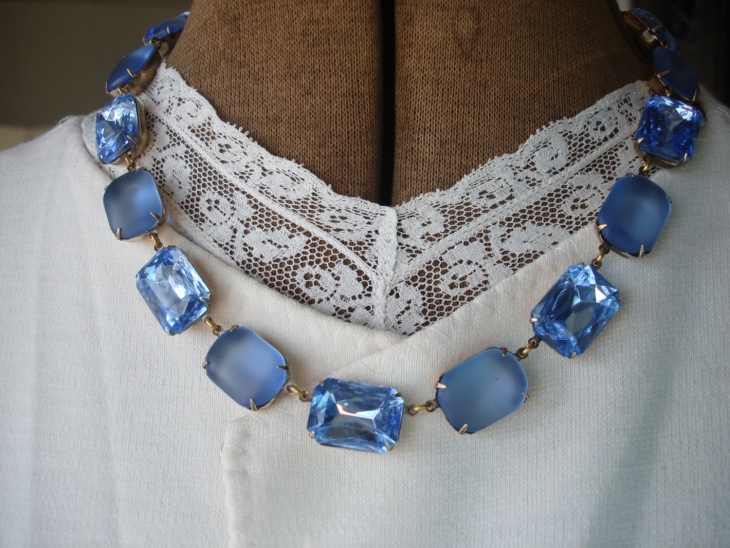 This magnificent wedding necklace has a great design of rectangular blue sapphires and blue sea glasses in alternating arrangement. Not all sea glasses are polished to perfection. 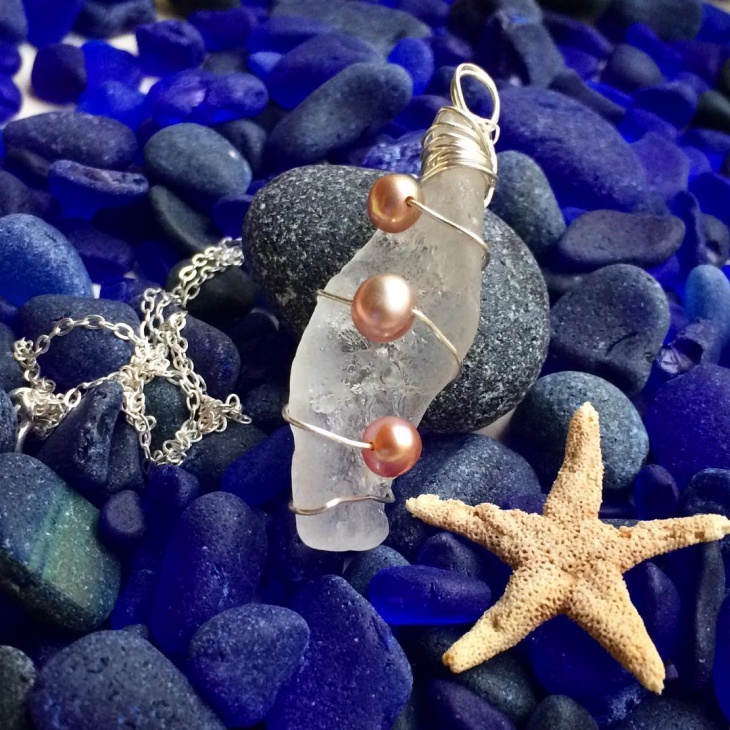 This pendant is a good example of how beautiful natural and unpolished sea beads are. 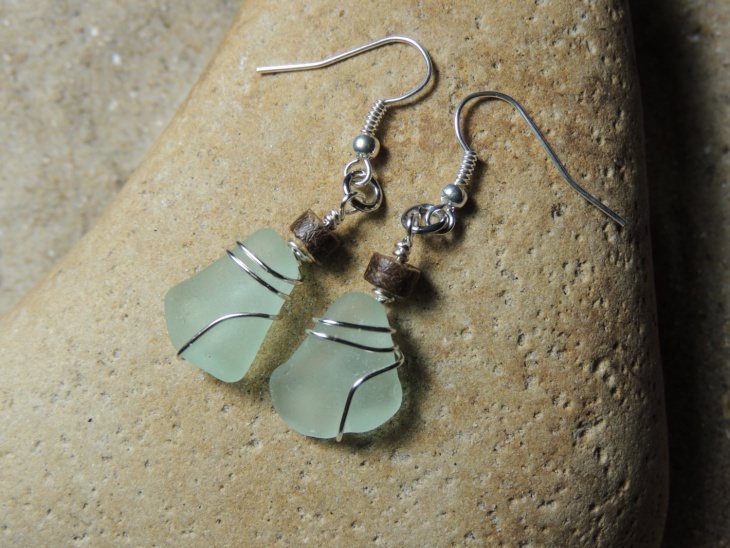 The rustic look of the two sea glasses used for this piece is ideal for those who like the gypsy appeal of jewelries. 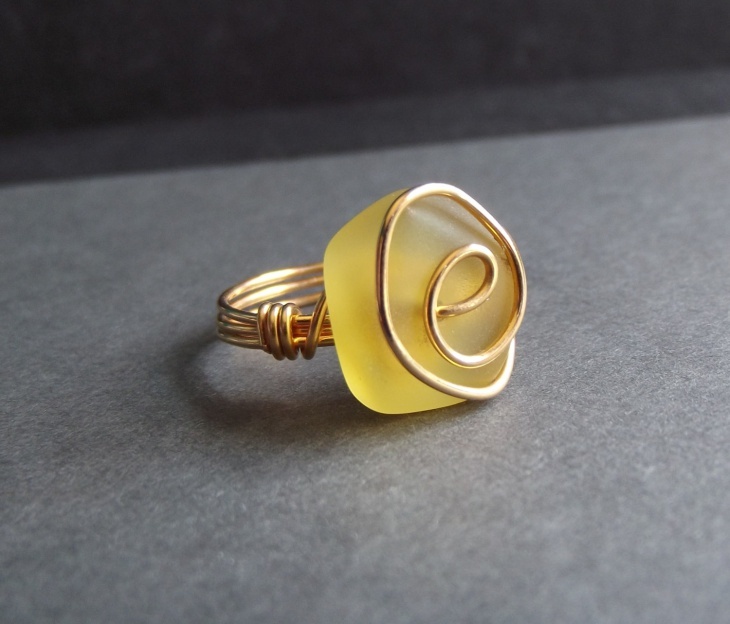 This pretty sea glass ring has an enchanting lemon yellow sea glass drilled and wrapped in swirling gold wire. 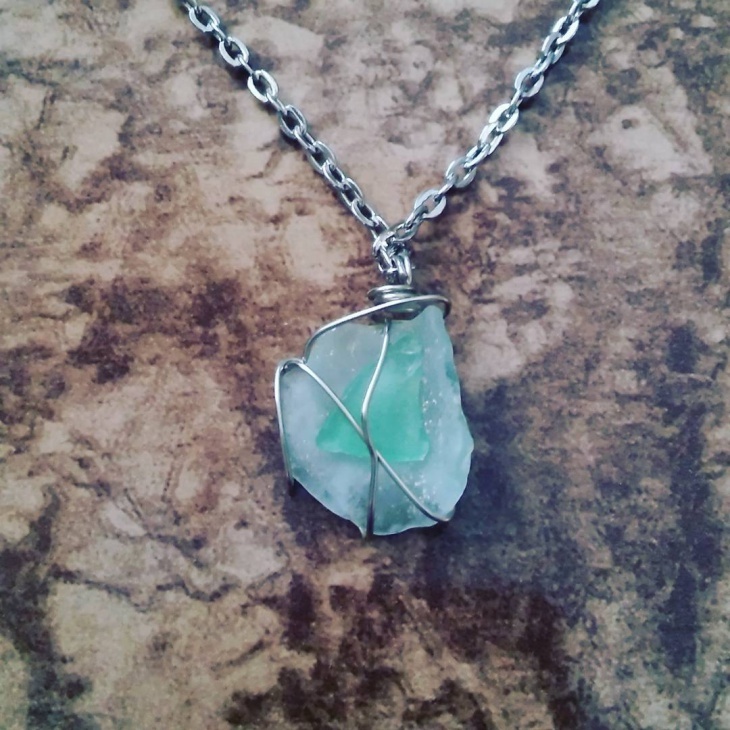 It is indeed a beautiful piece of jewelry which is perfect for a nice day at the beach or for a daytime stroll in the park. The fashion and jewelry industries have been invaded with different trends throughout the years. 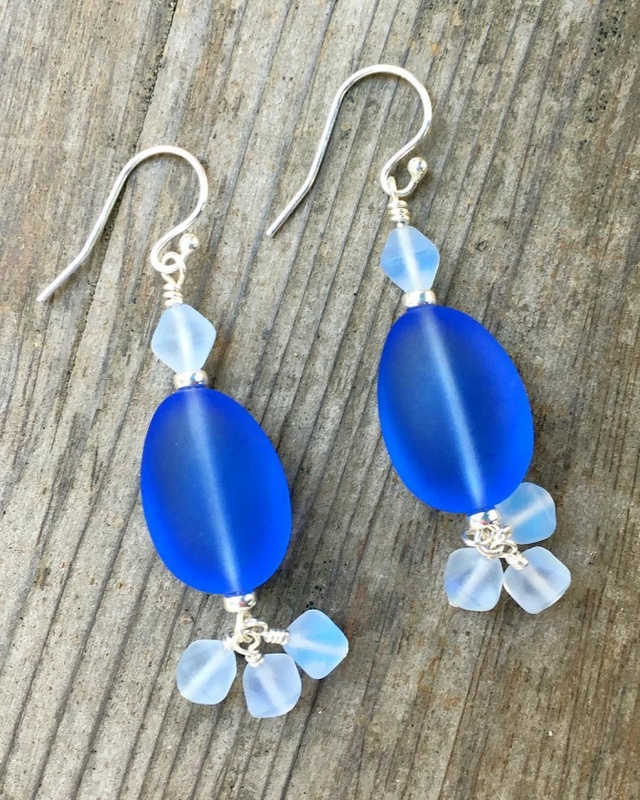 One of the most recent trends is the increasing popularity of jewelry pieces made of sea glasses. 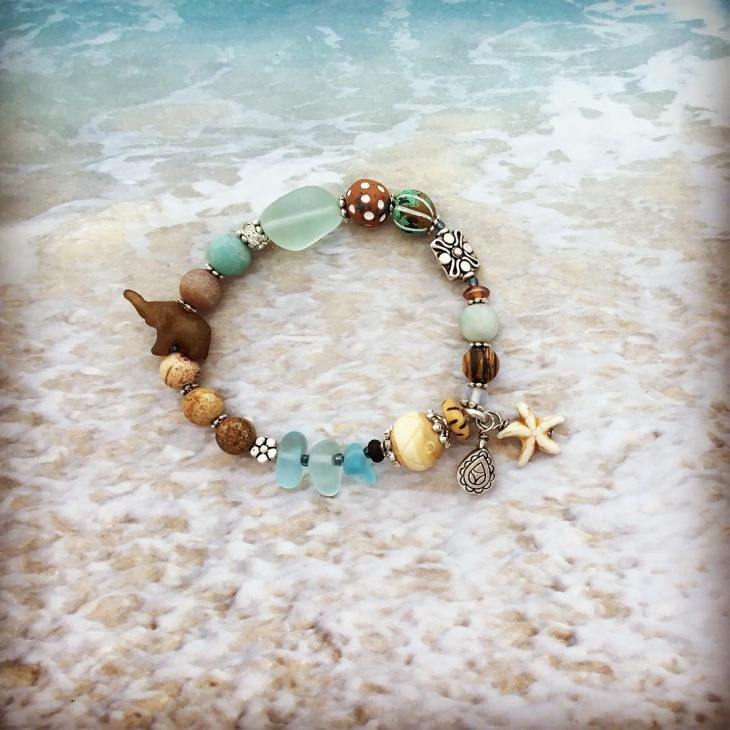 A lot of jewelers are now making use of sea beads and they are turning them into high-end accessories. 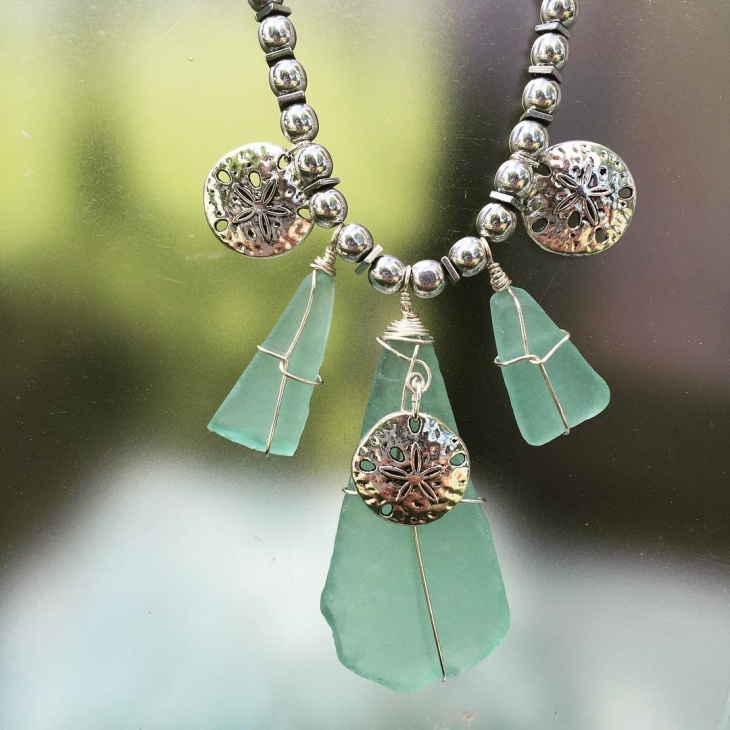 It is now easy to find these gypsy looking jewelry and you can even wear them for evening or formal occasions.